DAVOS-KLOSTERS, Switzerland – Africa is already the world’s second fastest growing economy after expanding 5% a year in the past two years, well above the global average, and Africa’s GDP is on track to grow by 5.3% this year, a televised debate with the presidents of Nigeria and South Africa and business leaders reported today at the 43rd World Economic Forum Annual Meeting in Davos, Switzerland. “If certain bottlenecks were taken out, I can easily see that doubling,” said Graham Mackay, Chairman, SABMiller, United Kingdom. The global brewer was established in South Africa more than a century ago and has extensive investments across the continent. Mackay singled out infrastructure development as probably the key driver to Africa’s continued economic progress. Africa’s leaders recognize that there are risks, but they said they are dealing with them. Nigeria, for example, is diversifying beyond oil into commercial agriculture to avert economic damage from volatile commodity prices. On recent labour unrest in South Africa, Zuma said solutions are being discussed by all sectors, including the government, labour unions, businesses and civil society. Louise Arbour, President and Chief Executive Officer, International Crisis Group (ICG), Belgium, warned about the risk of the current armed unrest in Mali destabilizing West Africa, but said that the fight against terrorism should not obscure equally important underlying issues that Africa must address, which are governance, political and economic exclusion and very weak institutions. “The narrative in Africa is changing and changing very fast,” said Sunil Bharti Mittal, Chairman and Group Chief Executive Officer, Bharti Enterprises, India. “There is no question that you are seeing more and more countries moving on to the democratic process and moving up the growth curve.” Bharti has been very successful in setting up telecommunications companies on the continent. “From the standpoint of investors and people coming into Africa, I think what is important to see is commitment from the political leadership to secure investments, ensure there are no major fallouts of any terror activities which have recently developed, and, importantly, manage foreign exchange in a manner which does not deliver shocks,” he added. Mittal also called for repatriation of business profits becoming the norm and development of Africa’s financial system. The 43rd World Economic Forum Annual Meeting is taking place from 23 to 27 January under the theme Resilient Dynamism. More than 2,500 participants from over 100 countries are taking part in the Meeting. Participants include nearly 50 heads of state or government and more than 1,500 business leaders from the Forum’s 1,000 Member companies, as well as Social Entrepreneurs, Global Shapers, Young Global Leaders and representatives from civil society, media, academia and the arts. 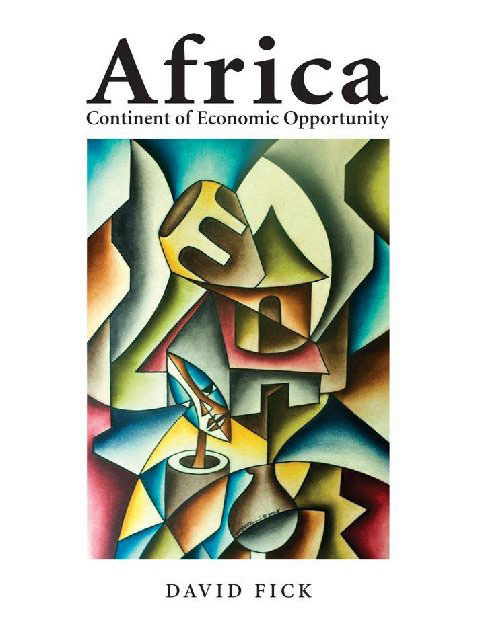 "Africa: Continent of Economic Opportunity is meant to tell the story of people and their communities that are successful in developing Africa. It is meant to get across the idea that all ethnic groups native (Africans, Europeans, Arabs, Asians and Americans) can be successful in Africa, which like the Americas, welcomes immigrants and prospers through their efforts. All citizens of Africa will benefit and all can become successful in Africa if they have the imagination, education and persistence. It also will tell how these people give back to the communities that they live in. It will advocate that African countries do more business with each other by means of regional groupings." How precisely on target the preceding statement is! Each case history throughout the book is backed by positive, achievable results by numerous successful entrepreneurs and enterprises. We saw dozens of individual and family operated businesses - from carvers and kente cloth weavers to furniture makers and palm oil producers - in mile after mile of roadside commerce during our most recent tour of Ghana, and have had similar experiences throughout the continent. These hands-on efforts are creating jobs in 53 African countries, with the end result of improving the quality of life in hundreds of communities. 5. The Gambia, Sierra Leone, Liberia, Guinea, Senegal, Côte d'Ivoire, Togo, Benin, Burkina Faso, Mali, Niger, Guinea-Bissau, and Cape Verde. African Entrepreneurs in the 21st Century (being researched for 2008 publication). For delivery in the United States at US$65 total by check, shipping included, please contact the author, David S. Fick. Address: 8012 West 114 Terrace, Overland Park, Kansas, 66210-1819, United States,Tel: 913 451 5850, E-Mail: whlgeagle@aol.com Book Description on Website: www.ste.co.za. Most African countries have their own national currency. Find out below what money is used in individual African countries, along with links to currency converters and tips on the best currency to bring with you when you travel. Exchange rates for many African currencies are somewhat volatile, so it's usually best to wait until you arrive before you exchange your foreign cash into local money. In countries that are very unstable economically, the US Dollar can sometimes be used more effectively than local money. Every international airport in Africa has exchange rate facilities, but rates are often better in town, so don't exchange all your money in one go. It's very handy to download a currency converter app before you go too. In general you are best off with US Dollars and a Visa/MC Card along with a debit card if it has a Visa or Mastercard symbol on it. In countries like Egypt, Morocco and South Africa you will find ATM machines in all major cities. In less visited countries, ATM machines are only found in the largest cities or tourist hubs like Arusha in Tanzania. Credit cards are not very useful outside major cities in most countries in Africa, other than in luxury hotels. Read more about: Money and Traveling in Africa.